We, at Majestic Pet Products, agree with you: comfort is a must have when taking care of dogs and pets, no matter their age or size. Recovery is a big part for the dog to stay healthy and increase longevity. 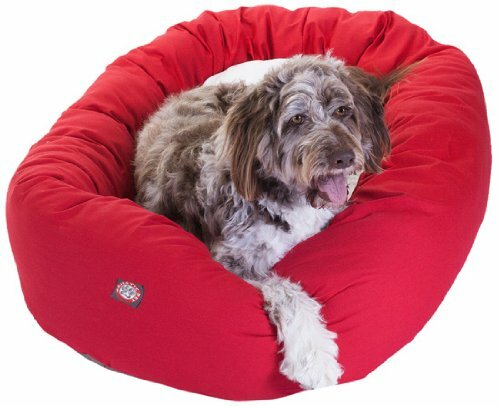 And that's why we offer a super comfortable round-shaped pet beds, available in FOUR different sizes. All in soft, comfortable construction for their maximum comfort. It is made with stable design on soft durable cotton / polyester material that is easy to clean and maintain. Publisher: Majestic Pet Products, Inc. Studio: Majestic Pet Products, Inc. If you have any questions about this product by Majestic Pet, contact us by completing and submitting the form below. If you are looking for a specif part number, please include it with your message.